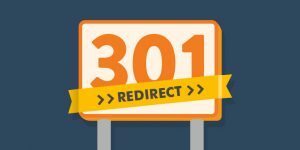 I investigated a lot about 301 redirects vs canonical tags. By the past, I lost web traffic because 301 redirects were not in place between the old page URL and the new page URL. Since that time, I am convinced that 301 redirects are the most important for SEO to pass google juice. On the other hand, I have never witnessed any benefits of using canonical tags. I use canonical tags just in case but I have never witnessed that canonical tags were useful to SEO. In conclusion, I use 301 redirects to pass Google juice and canonical tags just in case there are other URL forms that I am not aware of on the website. In fact, every webmaster should check if all these redirections work. Numerous times, I have witnessed the “power of the 301” when after creating a 301 redirect the google traffic started to tremendously increase because the new URL received the Google juice. On the other hand, the canonical tag does not pass any google juice and it is useless to help to rank better.